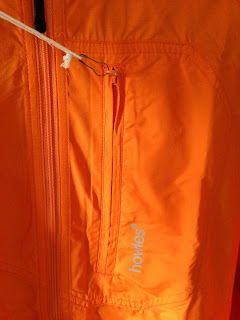 My Orange Brompton: Howies Dryfi Active Shell in Orange of Course! The bad thing about having friends who cycle is that they are forever coming up with more and more things to go out and buy. Add to this a passion for a particular colour and you are set for spending money now and then. Mark (King of the Hill) W who himself has a soft spot for green items sent a link to a jacket made by 'Howies' which was in a fetching shade of orange. A few clicks later and with my hand slipping I had somehow ordered one in my size. It arrived today and I am rather pleased with it. Hydrophobic coating shrugs off spray. Chest pocket with a clip for keys and headphone port. Headphone loop on the inside collar. Lined collar for comfort and to keep the chill out. The jacket is really comfortable on and cut very well. 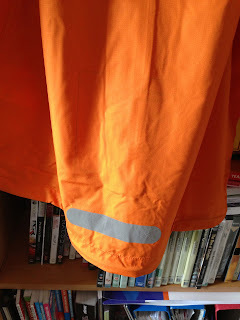 I have instantly taken a strong like to it and that isn't just because the orange colour is perhaps one of the best hues I have seen in any item of cycle clothing. The reflective trims work well and certainly help to get you noticed that bit more on the open road. Reflective trip on the arms. 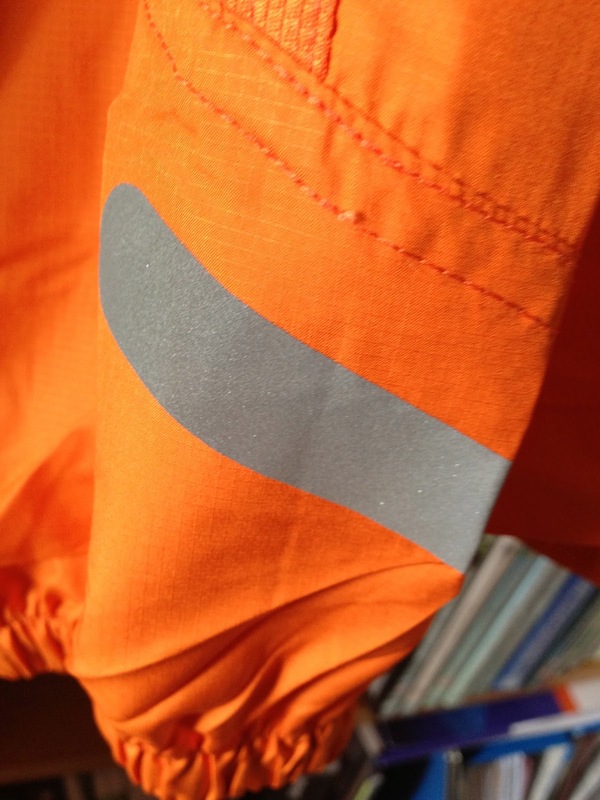 Reflective trim on the rear hem. 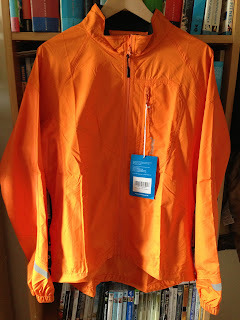 The jacket cost £39 and I got it directly from the Howies online shop. 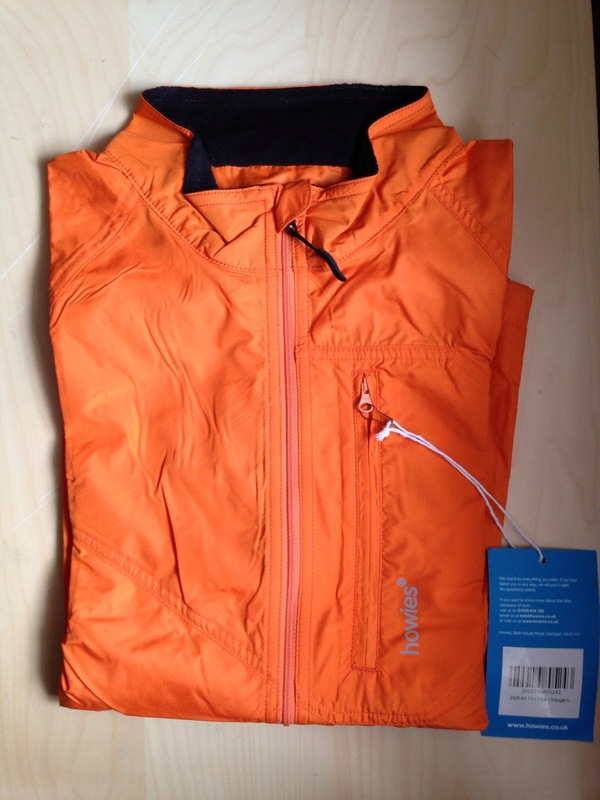 I have seen many jackets offering the same features for a great deal more money but not half as good. This is great. 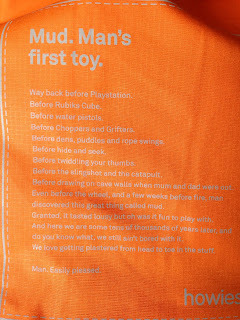 Printed on the inside. Howies do this particular jacket in black and blue in addition to 'Fire Orange.' I suspect that I will be making a few more trips to their online shop in the next few months as they really do make some great items of clothing! I have provided a link to their website below.